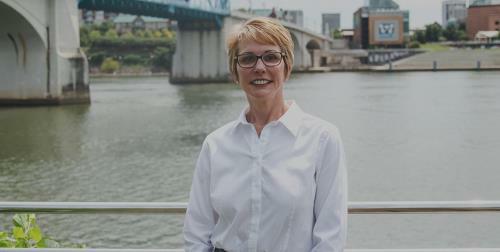 Dr. Debbie Daniel takes a new approach to healthcare in downtown Chattanooga, offering the Direct Primary Care Model, which uses a simple, affordable membership fee and limited third-party billing. Riverfront Medicine DPC will celebrate its newly-opened practice with a ribbon cutting on Thursday at 3:30 p.m.
at 901 Riverfront Parkway. This event is hosted by the Chattanooga Area Chamber of Commerce and is open to the public. A reception will follow. The unique practice approaches primary care differently. Members pay $60 a month for care, regardless of their insurance. With their membership, patients can see a physician or nurse practitioner as needed for ongoing conditions such as diabetes, mental health, asthma, Chronic Obstructive Pulmonary Disease (COPD) and many other conditions. Items not included in primary care, such as blood tests and x-rays, are available through the individual’s insurance or with cash discounts for those without insurance. The membership option is especially valuable for those with high-deductible plans, those who are underinsured and patients who need consistent treatment for chronic conditions. Extended hours are often available to patients who require urgent care. 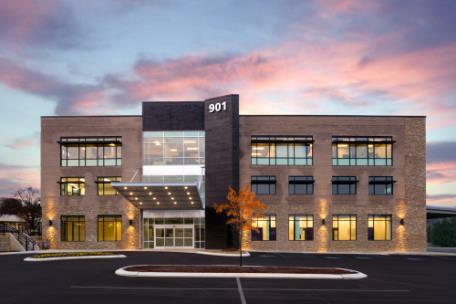 The new office space at 901 Riverfront Drive adds convenience to the patient experience, with free parking and an easy-to-find office close to downtown, I-27 and all the area’s hospitals. 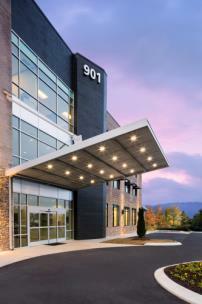 A native of Chattanooga, Dr. Daniel opened the practice to combine her two passions: the practice of medicine and superior patient care, to Chattanooga’s residents. An experienced physician of 30 years, she has served the community as a primary care provider and as an emergency room physician. The majority of her career, she has owned and operated her own practice. She is joined at the practice by Jessica Shedd, FNP-C and Bradley Hatcher, FNP-C, as well as support staff.